A recent survey of fire door inspections revealed that 61% of the doors inspected had issues with fire/smoke seals, 25% had problems with hinges and 1 in 6 had problems with the door leaf, so making sure your fire doors and all the components are 100% compliant is crucial to their performance in case of a fire. 1. You have an accredited fire door together with CE marked and accredited door furniture (hinges, latches, screws etc) and mechanisms like closers. It is worth noting that not all doors are compatible with all components, and not every door fits every door frame, so check the manufacturer’s instructions and fire certificate and make sure you have the right door furniture and frame to work with your fire door. 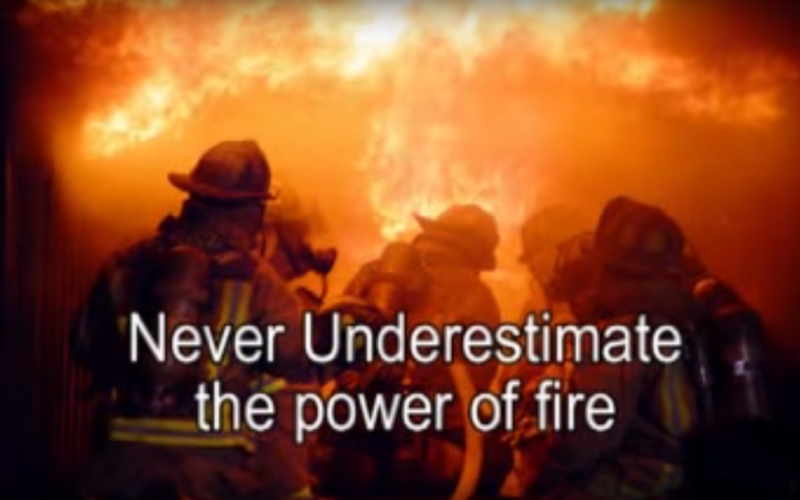 If not, it will invalidate any fire certification and you cannot be sure that the door will operate safely. 2. The door fits the door frame and there are appropriate gaps and either intumescent strips or intumescent smoke seals around the frame and door. It is more likely both will be required. For your door to work well on a day to day basis it will need to have a consistent and equal gap around the door, usually advised by the manufacturer to be 3-4mm. You can measure this accurately by using a gap tester. 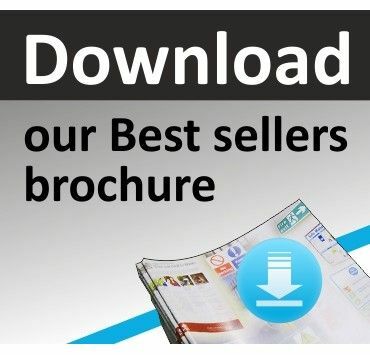 These are available free from many sources such as BWF-CERTIFIRE. 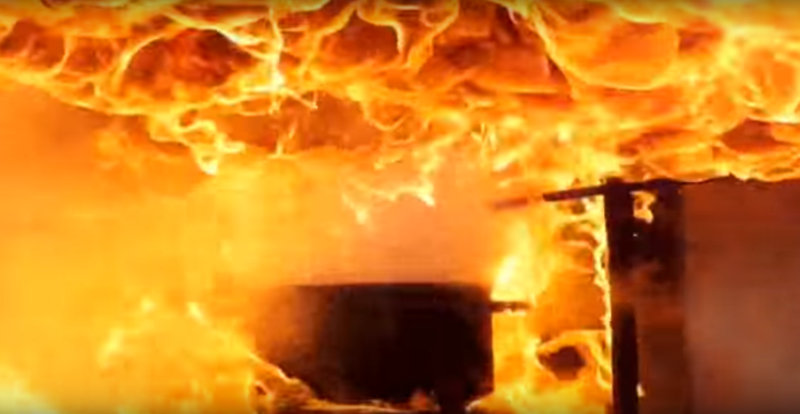 When there is a fire however, it is important that there is no gap between the door and the frame for the fire or smoke to spread through. To achieve this, you need to fill the gap with a fire stopping material, like intumescent strips or combined intumescent smoke seals, which expand as a reaction to heat. This should ensure that fire will not get through any gaps into the rest of the building for the duration of the fire door’s guarantee time, so for example a fire door rated FD30 equals 30 minutes and a fire door rated FD60 equals 60 minutes (this door is used in most public buildings such as schools, hotels and offices). Incorrect materials used, can reduce a fire doors time to 5 minutes before the fire door fails completely. 3. The door must open and close properly, ensuring the door and door frame are positioned appropriately. The mechanism used to close the door must be CE marked and approved by an accrediting body. It also needs to be the correct mechanism for the weight of the internal fire door so can it can open and close correctly, close in a controlled way and onto a latch, or close onto door stop if there is not a latch. In some circumstances, the wrong self-closer fitted in the wrong position, can actually damage the fire door, causing the fire door to warp, eventually failing to close the fire door properly to its frame/ latch. This is why the right hardware for each door must be selected. 4. Check the supporting construction around the door. Normally the wall (whether brick, block, masonry, timber or steel stud) should provide at least 30 minutes’ fire resistance but avoid having glazed panels above a fire door as they will render a fire door unfit for purpose. Please Note: The fire door must also be provided with fire rated protection between the door and the door frame. Failed fire doors have been noted to have standard foam with no fire rated packers or fire rated foam fillers fire tested to meet: BS-EN 1634-1 or BS 476-22. It is important to ensure, any products you purchase for your fire door are compliant to the required fire test standards, as well as, being suitable for the fire door you are installing. Unfortunately, not all fire door accessories or components sold online, will be suitable for your fire door assembly..! 5. 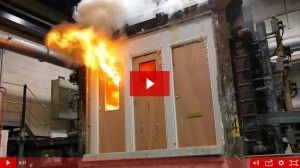 Passive fire protection - such as fire doors - is quite often installed by trades people outside of the fire industry, and if installed incorrectly, means the protection will not work in case of a fire in terms of compartmentalisation. This basically means, a 30 minute fire door could fail in less than (5) minutes, based on the installation & incorrect fire rated components purchased & used. This includes incorrect fire rating of: smoke seals, intumescent strips, letterplates/ letterbox, viewing/ security peep holes, fire door hinges or pads & importanly, the self-closing devices. Be Aware: Accidental damage to fire doors and the areas around them may be done by other tradesmen, who then don’t make good and restore the seal/s. This can include, painting over the smoke seals, rendering them invalid & un-fit for purpose or, drilling through doors or laying cable under doorsets. Replacing fire doors with UPVC doors that are not even fire rated. Fitting self-closing devices incorrectly. Fitting the wrong type of self-closing device for the weight of your doorset. The list is endless in our inspection experience & only you can monitor this with the right policies & procedures & appropriate fire safety consultancy & assessments conducted regularly, to help in maintaining your legal fire safety requirements. 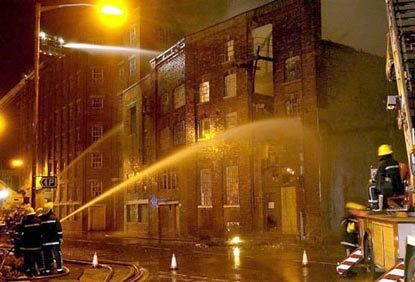 Note: Imagine the smoke leaking into a fire escape corridor? Also consider the fire & smoke damage? 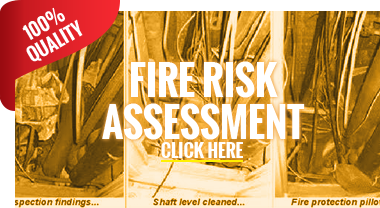 MG Fire Safety Group conduct Fire Door Surveys & Fire Risk Assessments.